Installed in 2016, these two Mossart green walls composed of reindeer lichen and with sizes of 23.5 sq. ft. and 36 sq. ft., covering a space equivalent to 59.5 sq. 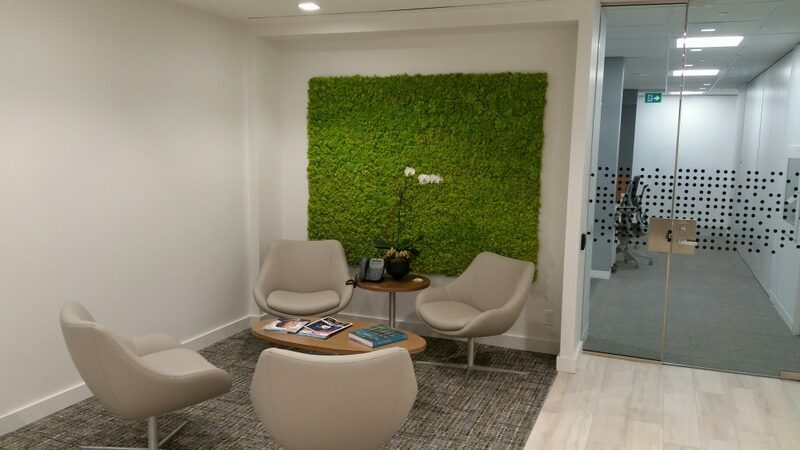 ft., bring colour and acoustical benefits to the new offices of the Equity Financial Trust Company. 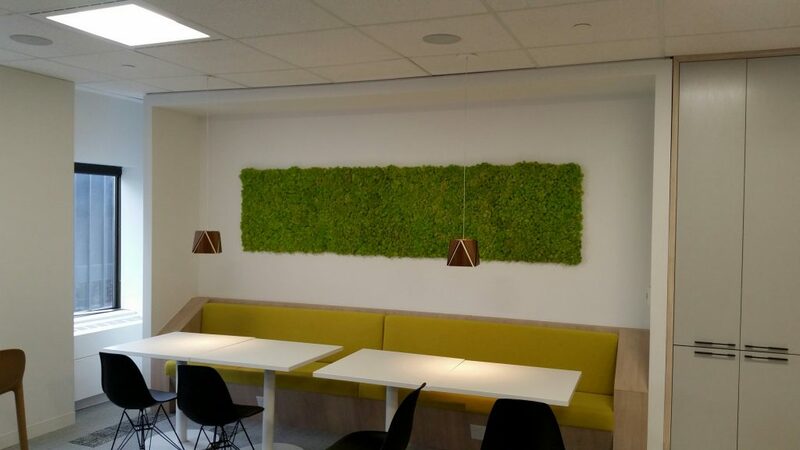 According to a recent study conducted by the Centre for Architectural Ecology at the British Colombia Institute of Technology (BCIT), Mossart panels have significant sound absorption which can reduce reverberation and improve the quality of verbal communication within the workplace.